Trovato’s unique, signature style is blues-based and heavily spiced with country, rockabilly, twang, rock and jazz influences. 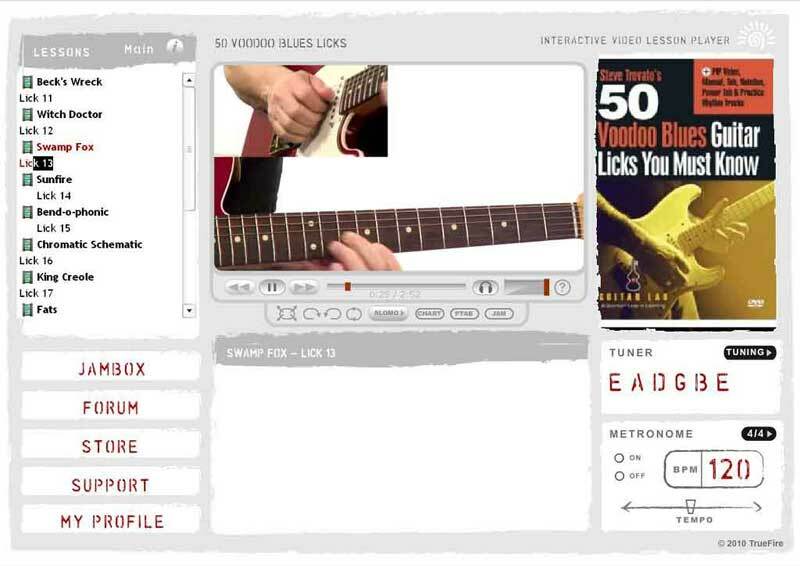 50 Voodoo Blues Licks You MUST Know extends the key learnings presented in his best-selling Voodoo Blues course with an expanded blues vocabulary of licks inspired by Stevie Ray Vaughan, Jeff Beck, Eric Johnson, Robben Ford, John Mayer, Kenny Wayne Shepherd, Danny Gatton and many other witch doctors of the blues. Work through these 50 Voodoo Blues potions and you’ll pick up new and highly engaging ways to incorporate hammer-ons, pull-offs, slides, double-stops, double-stop bends, gathering bends, ghost notes, open string licks, chromatic licks, pentatonics, the famous B.B. King gliss and Steve’s proprietary Voodoo Blues scale into your blues wheelhouse. All of the licks are presented in context over a rhythm track, which you’ll later use to practice with. Steve first performs the example and then breaks it down for you note-by-note, technique-by-technique. All of the examples are tabbed, notated and also formatted as Power Tab and Guitar Pro files. 50 Voodoo Blues Licks You MUST Know is a mesmerizing, contextual, hands-on and highly-effective study program for blues players. You’ll have a blast working with the material and every practice session will yield immediate results. Get your voodoo on!